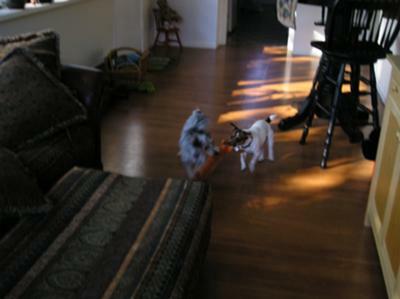 My JRT, Sonia, likes to play with my Jacachon (JRT and Bichon mix), Jackson. Jack is 7 mo. older than Soni. He is 4 1/2. Occasionally she (Soni) will get real aggressive with him and fight with him. She's always trying to mount him, too. When they fight I pay heck trying to separate the two in fear one might really do some damage to the other. What's this all about?